I felt like I spent the entire day putting on or taking off clothes. Freezing up high, hot down low, windy sometimes, rain briefly, baking sun once or twice. 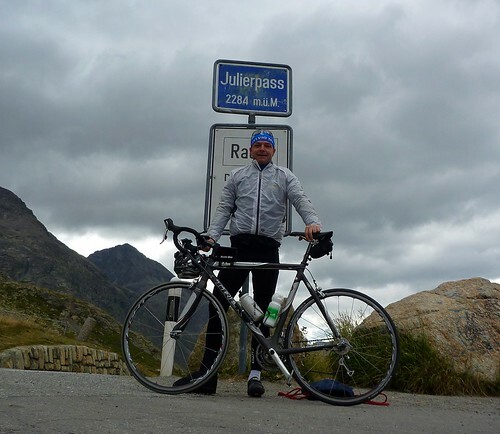 From St Moritz: up Julierpass (2282 metres), 30+ km descent. 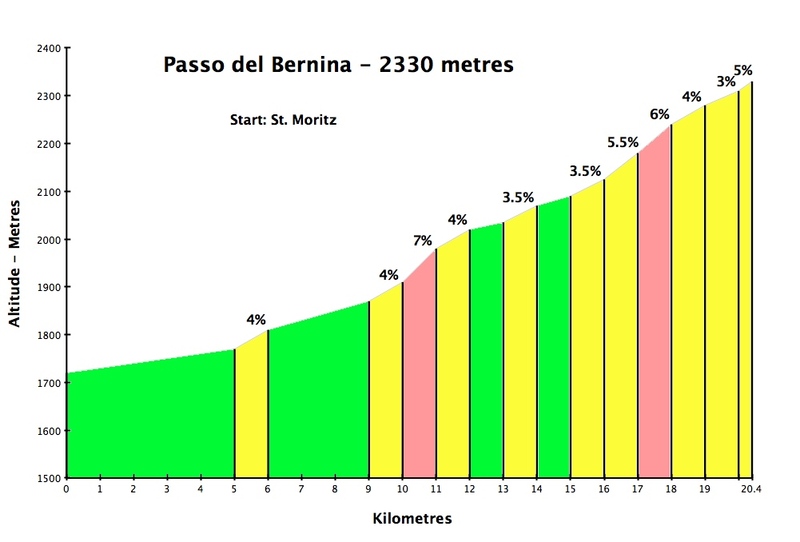 Then 31 km climb to Albulapass (2315 metres; beautiful), down to La Punt, a quick there-back to Passo del Bernina (2330 metres) and back to St Moritz. 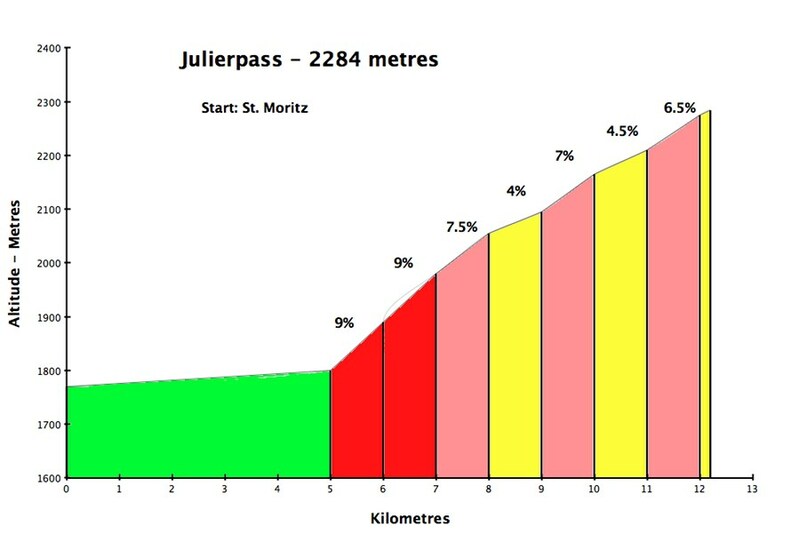 Julierpass? 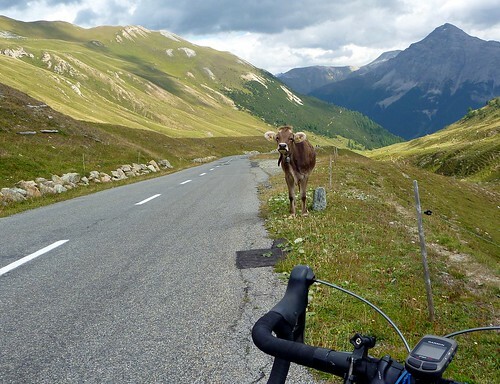 High, scenic, a little too much traffic …. 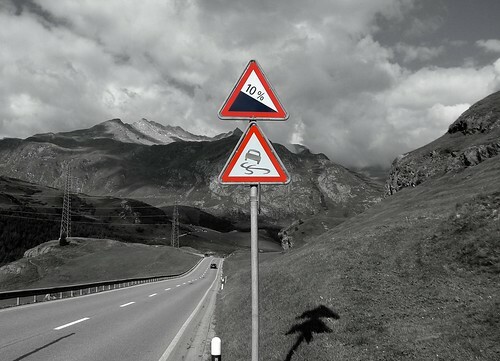 there just aren’t enough roads to St Moritz. I’ll call it a good climb ….. downgraded due to traffic. I did the easy side, the descent is over 30 kms past “Sound of Music” scenery. 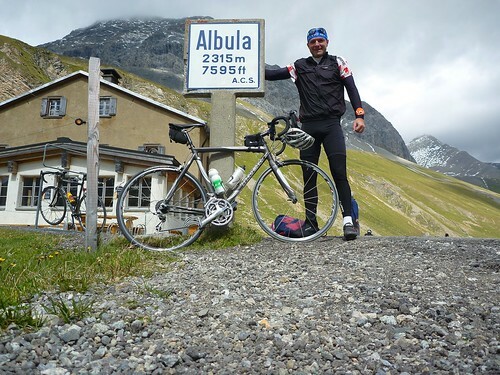 And then a turn off to Albula. 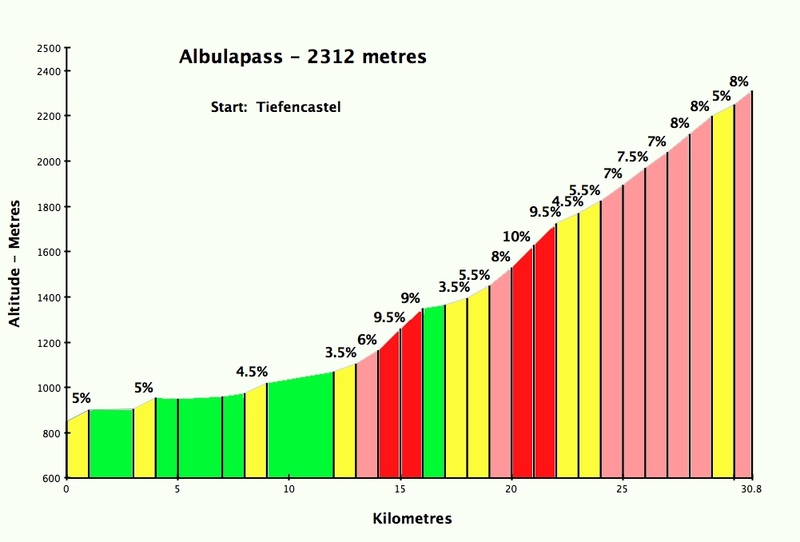 Albulapass is an amazing 30 km climb. Not crazy difficult, but beautiful and long. After the last few big days I was a little tired. But an apple strudel, a coke, and a tail wind – at the half way point – helped me pick up the pace. 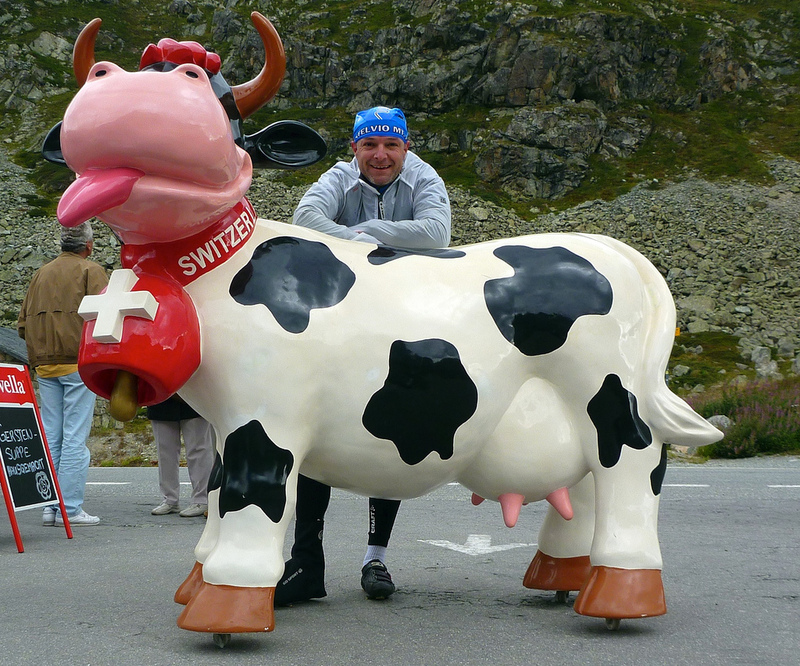 Albula was the final climb in the “Queen” stage of the 2010 Tour de Suisse. I think it’s a little more beautiful early in the year, covered in snow, versus the late season scree. 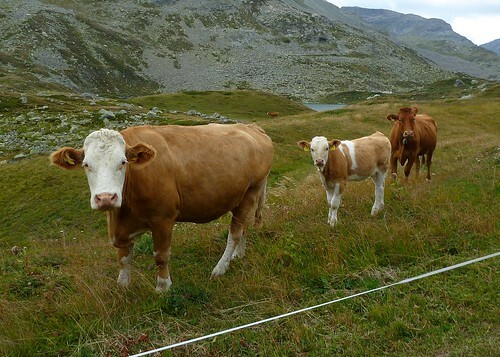 Tomorrow is “slow up” day on Albula. Both sides closed to cars …. just bikes … 4500 riders in 2009. Details here. Brilliant, wish I knew before today. 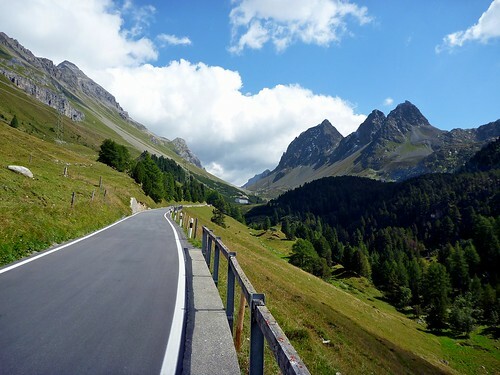 The best part of Albula is the descent of the other side. It’s a short (9km) descent, but steeper than the long side with great hairpins. 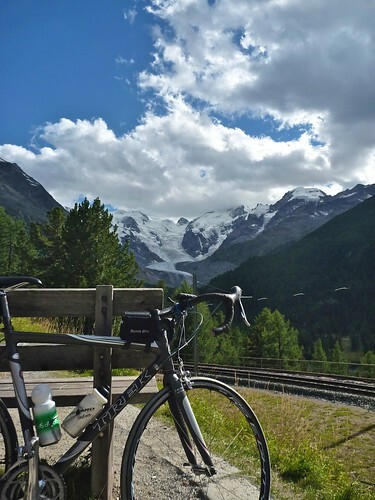 I was on schedule for a 100 km loop back to St. Moritz. For some reason I thought it was just a short jaunt to Berninapass. In fact it’s 20 kms – although never steep. What the heck, I hadn’t bonked in a few weeks, so I headed up. If I didn’t have a strong tail wind up the last climb I never would have made it. 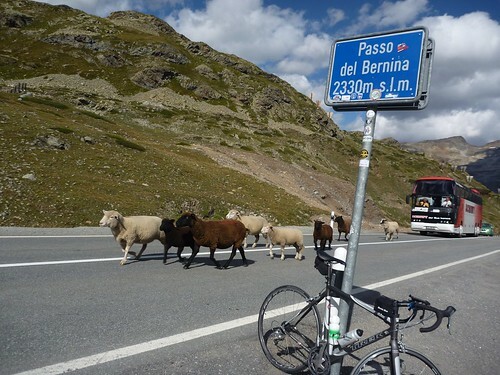 Passo del Bernina is a beautiful high Alps climb. But like Julier, it suffers from heavy traffic …. and endless tour buses …. 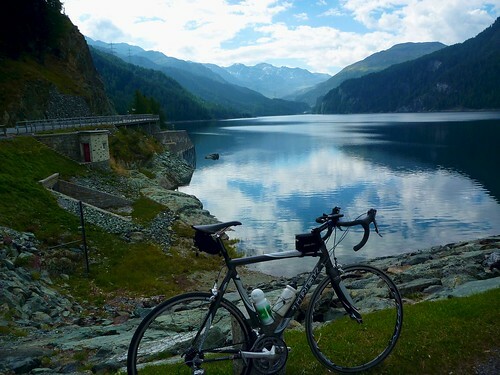 as it is one of the few routes in the area linking Italy and Switzerland. The other side starting in Italy is a huge, superb climb (I drove it yesterday), but again downgraded to “good” due to cars. My legs are shattered. But I made it to the beer store 45 seconds before closing, so all is good! Love your first cow picture. 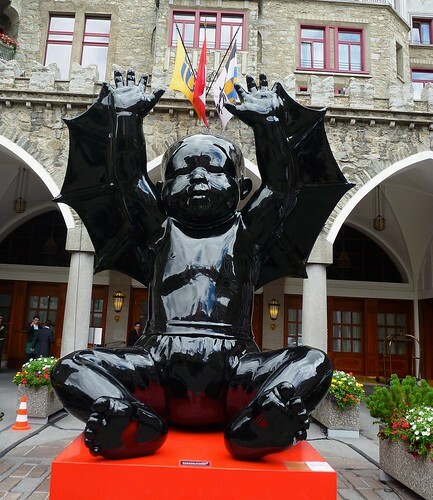 Less sure re: Buddha as Batman. i think the cow has something he wants to tell you.